IMPORTANT: Facebook has announced that Messenger codes will no longer be supported in the future. We will soon remove this functionality from our app as it will no longer be supported by Facebook by the end of summer. 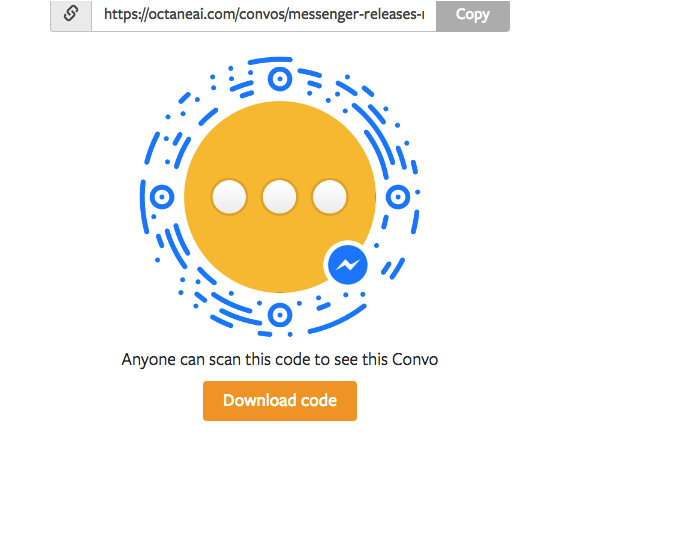 You can share your Convo with a Messenger Code. You can find the Code at the bottom of any Convo. Anyone can scan this code using their Messenger camera and they will be taken directly to your Convo. This is a fun and innovative way to share your content and gain new followers. Simply click download code and share it with your fans. It's a great way to get people to your bot at an event or in a store. *Please note that this is feature is only available on iOS and Android devices with the Facebook Messenger App. How do I download my Page's Messenger code on Facebook? 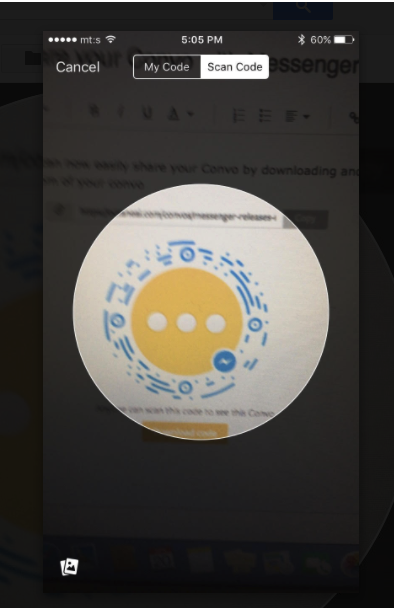 Your Page's Messenger code is a unique code you can download and share to help people easily message your Page. 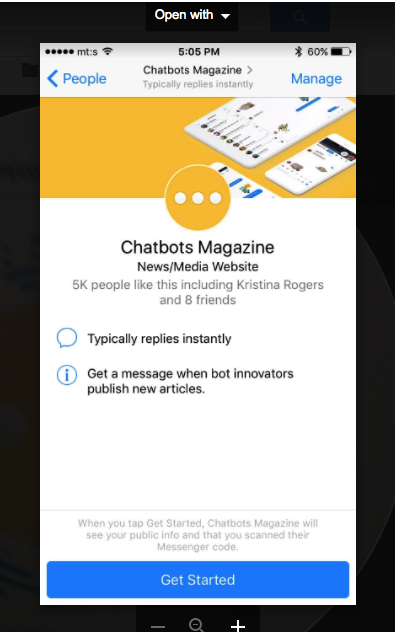 When people scan your Page's code using the Messenger app, they'll start a conversation with your Page.